A chapter of the national American Podiatric Medical Association, OPMA is a not-for-profit organization dedicated to serving and protecting the public’s foot health and protecting, promoting and advancing the professional practice of podiatric medicine and surgery through regulatory and legislative channels in Oregon. 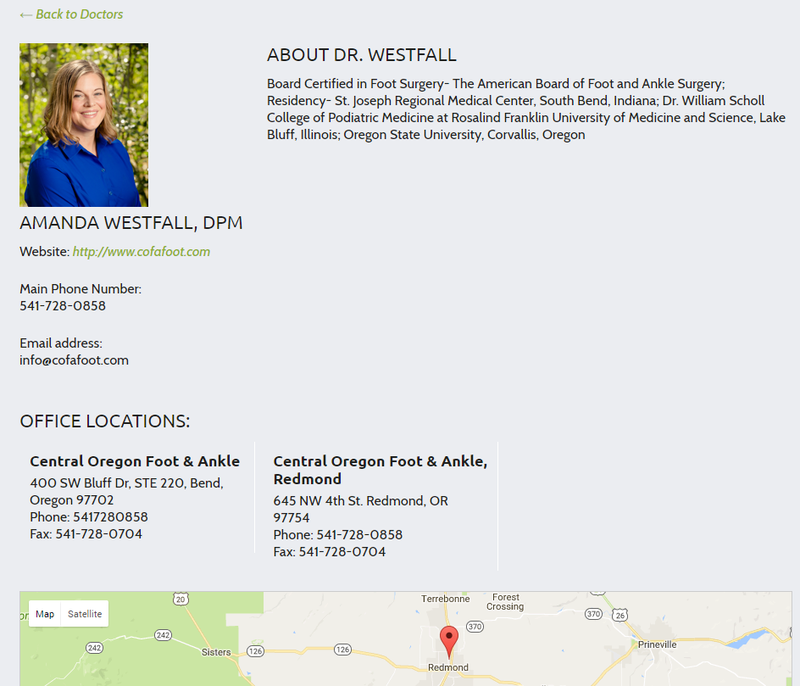 The podiatrists at Portland’s Westside Foot & Ankle kindly allowed OPMA to use the interactive HTML5 foot conditions diagram we built for their site in 2014. 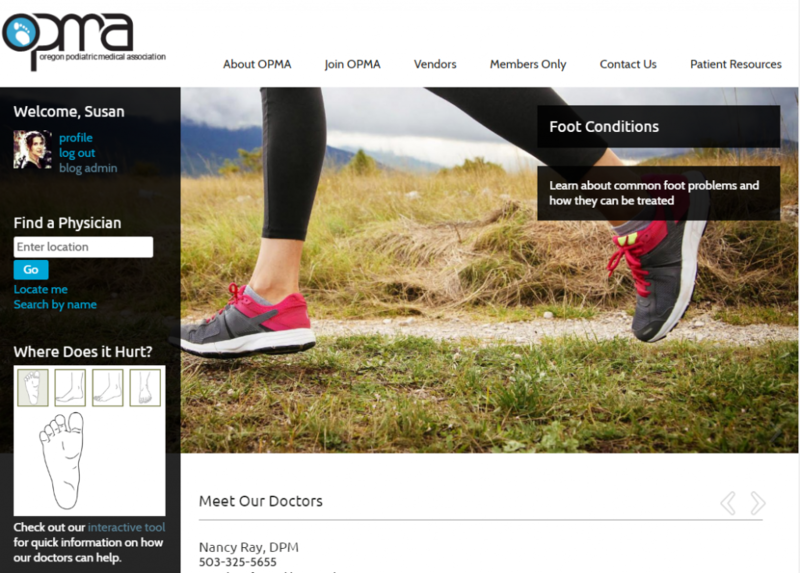 OPMA’s site also features a directory of all their members. 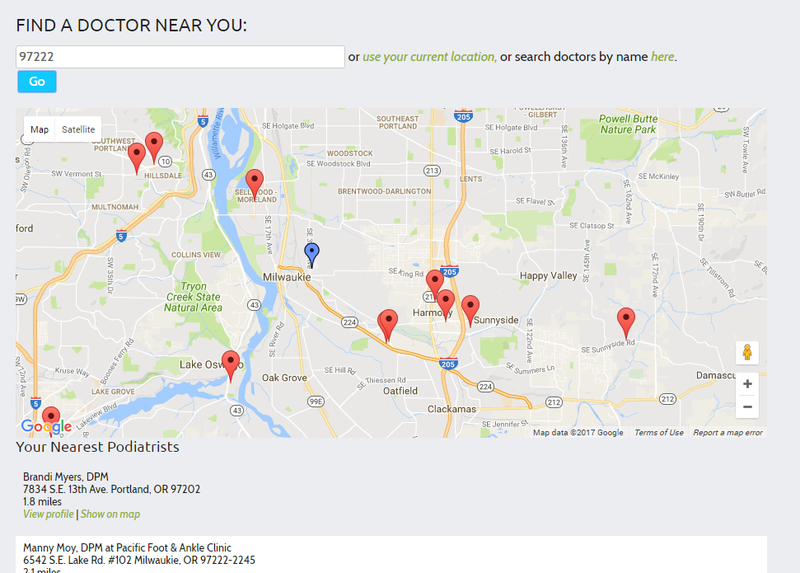 It is searchable by name, or, you can enter your address and get a list of doctors nearest you, complete with map markers! Each doctor’s profile also sports a map showing their office location(s). Doctors can log in and edit their own profile information anytime. Design for this site was done by Caitlin Loos of Yespertise. Development by the Collage Creative team of Susan Langenes, Arthur Parker, and Chad Kula. 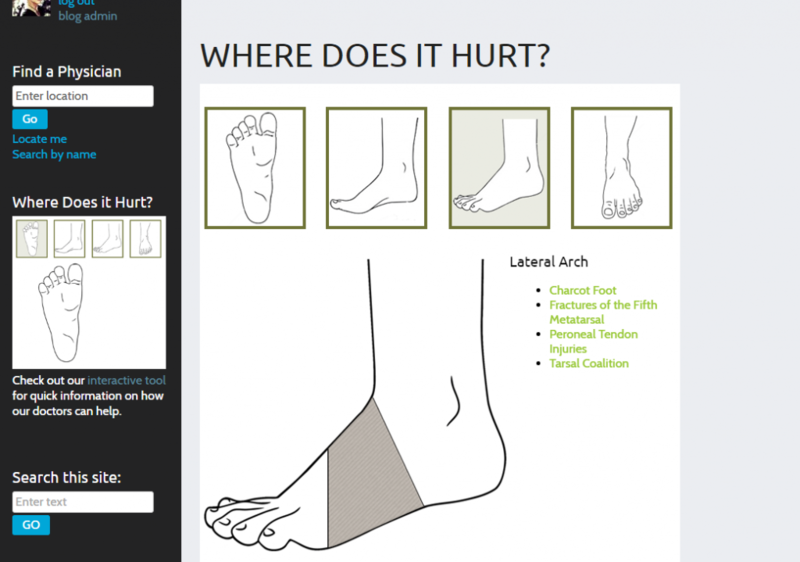 Credits to Dimitry Semenov for Royal Slider in two locations on the home page, Elliot Condon for Advanced Custom Fields, The Googles for their wonderful map API, and Kevin Leary for Visual Biography Editor, which saves foot doctors from headaches with HTML when editing their profiles. You can visit OPMA here. This entry was posted in development, user experience. Bookmark the permalink.